It's no secret - I have a thing for wood slices. 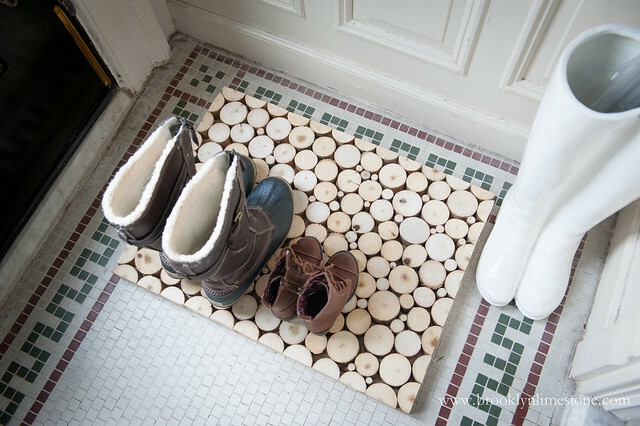 This wood doormat project has been rattling around in my head forever. Luckily, the whole project very simple if you have access to free branches or if you are lucky enough to have a generous friend who brings you a giant bag of wood slices just because I asked. Thank you to my wood slice fairies! I started with a scrap piece of wood I had left from a prior project. There are probably more ideal base materials (feel free to chime in here) but I had this laying around so that's what I used. 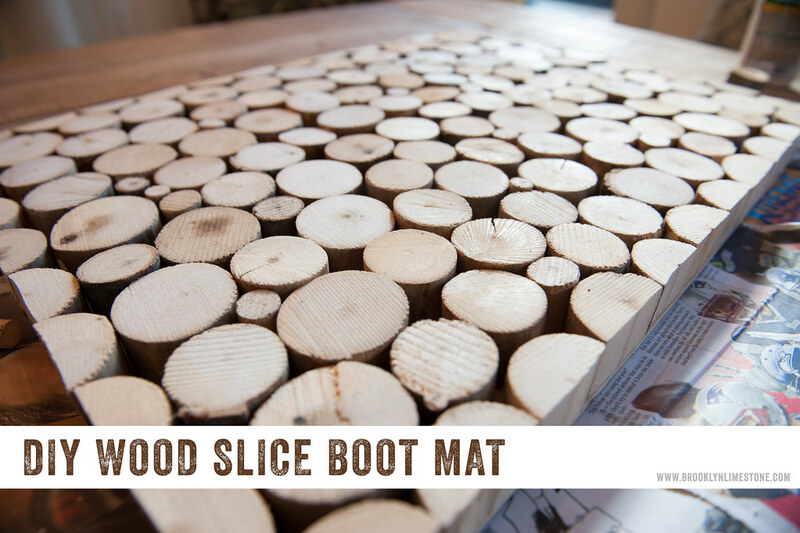 My wood doormat is 24 inches wide by 18 high but you could make this in any size that works for your space. Then it was all a matter of finishing the worlds easiest jigsaw puzzle. 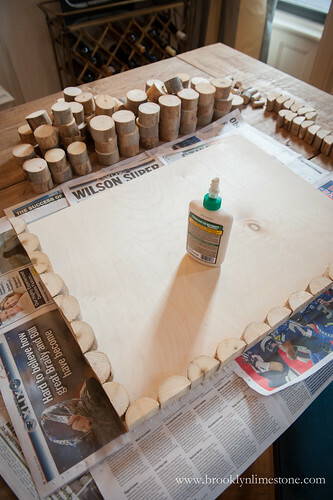 Start by dry fitting the half circles around the edges until you have a good arrangement. 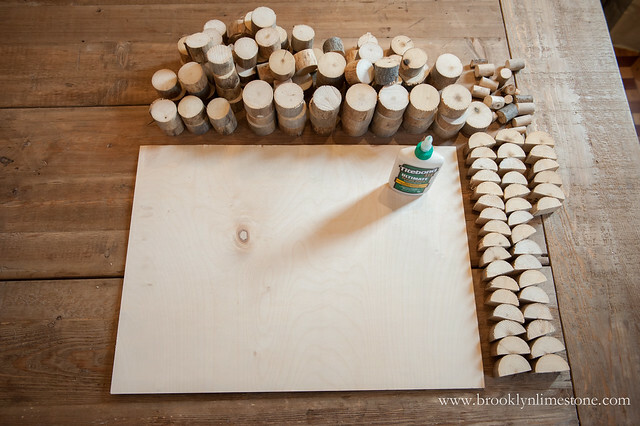 Then use the wood glue to tack each one down. Allow a few minutes to dry before moving onto the inside arrangement. 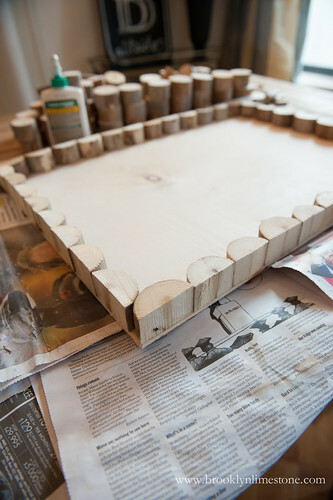 Once the edge pieces are firm, lay all of the larger wood slices randomly inside the frame, followed by smaller pieces and kept going until you are happy with the way it looks. 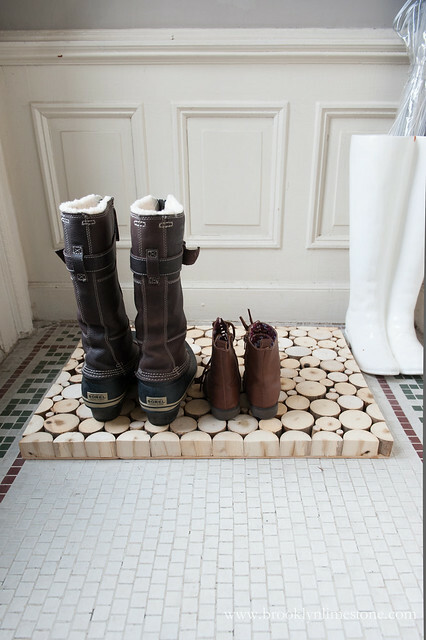 So there you have it a wood doormat that is a place to dry my boots that was easy to create and a pleasure to look at! You might also want to check out this DIY Wood Doormat made from slats with a handpainted sign on it. 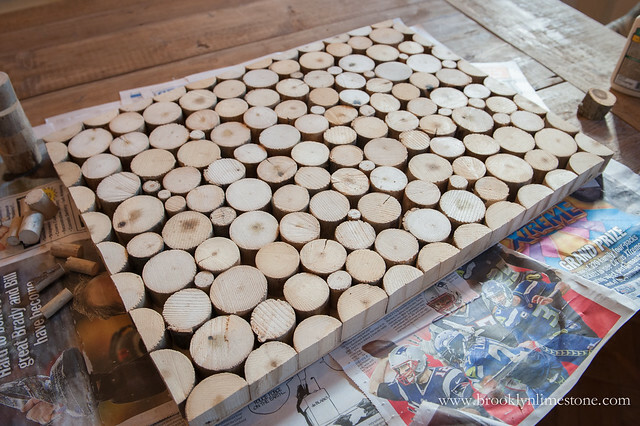 For More Great DIY Projects Follow me on Pinterest! This looks awesome! Such a clever idea. That looks awesome. I need a wood slice fairy! P.S. 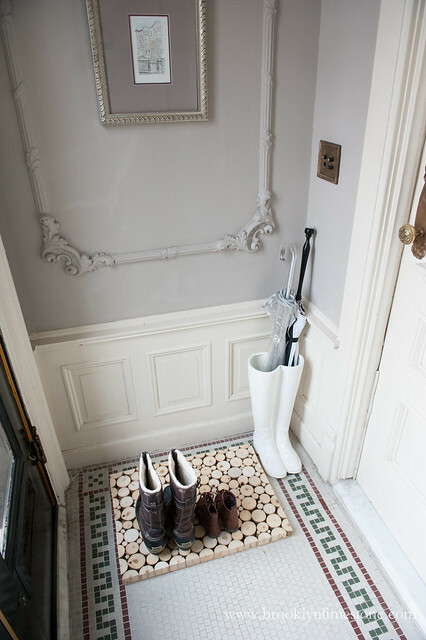 Love the boot umbrella stand! Very nice! Did you make any drainage holes on the bottom? Just curious how it handles rainy/snowy boots. I love this idea! I am going to try and make one that resembles yours with some tree branches from the house I grew up in. How tall did you make each one? 1 inch high or?